Select high-end shower room, katine said he makes your home more high-end atmosphere! Your house is why device shower room? Many installation shower room is for the evening after work to a comfortable bath. Because of busy all day, so I want to have a leisurely and comfortable night. Shower room can bring comfort to your home, and high-end shower room not only bring comfort to your home, you can also bring your home temperament, high-end grade atmosphere. Small make up feel, the difference between high-end shower room and shower room is just convenient people to take a bath shower room, just as a shower space, and high-end shower room is not only as a space in the bath, it also can be used as a work of art, let your home look beautiful and easy, give a person a kind of visual enjoyment, but also have special temperament to your home, and can increase a few class! Out of the shower room should be beautiful atmosphere, and to safety, safety is the important one of the reasons why people choose shower room. 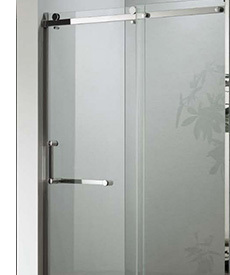 High-end shower room glass katine said he is a precision metal processing technology, enclosed derailment safety prevention system, stainless steel mirror polishing technology, and the glass is made of laminated glass by laminated safety technology, it is in addition to your shower room outside appearance is beautiful, good quality, and through a variety of techniques to make it very safe. No matter what, katine said he shower room are above others. 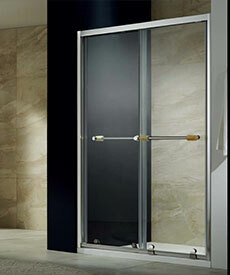 High-end shower room is more than just a high end, small make up think, high-end label is not luxury. How high-end shower room can not represent you have more luxury, but it represents is that it can let you have a leisure at night. When you are tired can bring you a caring, shower room and shower room of katine said he can bring you to enjoy. Katine said he high-end shower room, you're worth it! Previous：Who help you home decorate partition distress? Of course choose katine said he. 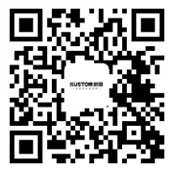 Next：Choose guangdong shower room manufacturers have what advantage?